A typical rural scene in some barrio in Batangas Province. Image source: Google Earth Street View. The Province of Batangas has a total land area of 3,119.75 square kilometers and a 2015 population of almost 2.7 million in habitants who live in three cities and four municipalities. Although its urban centers such as the Batangas City, Lipa and Tanauan are fast becoming congested like Metro Manila, there are still vast swathes of land around the province which stand as testament to Batangas’ agrarian past. There are, in the present day, 1,078 barangays or barrios in the entire province. 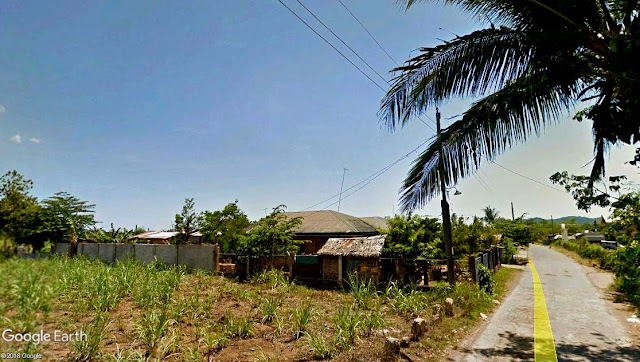 While some of these have become amalgamated to become part of a city’s or town’s poblacion or center, there are still many in remote corners of Batangas where life has changed little despite the amenities that modern living has brought with it. For those who wish to know what barangays or barrios can be found in a particular city or town of Batangas, below is a comprehensive listing. The barrios listed above are all from the tables provided by the Philippine Statistics Authority with the results of the 2015 Philippine Census.